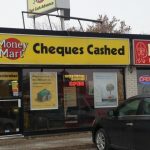 BELLEVILLE – Members of city council’s Planning Advisory Committee are expressing concern that there are too many payday-loan outlets in the Belleville, and are taking steps to restrict more from moving in. 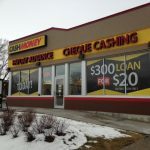 The committee voted Monday night to ask council to get a legal opinion on whether a limit can be set on how close payday-loan locations can be to each other. The motion came from Coun. Paul Carr, who said he’d like to see a way to stop new outlets coming altogether. The city already has about five such establishments, Carr noted. (QNet News’s research suggests that there are at least seven.) They give out loans to people who cannot afford to pay them back because the interest can be around 60 per cent, he said. “We’ve got too many now, and enough is enough,” he said. He has heard stories of people who have taken a loan out at one location and then have had to get another loan from a different institution to pay back the first one, he said. “If you start borrowing you never really get out, because it’s just an endless cycle of higher and higher interest rates all the time,” Carr said. Coun. Mitch Panciuk supported Carr’s motion, saying he has heard similar stories. “Children and families are hurt by it,” Panciuk said. 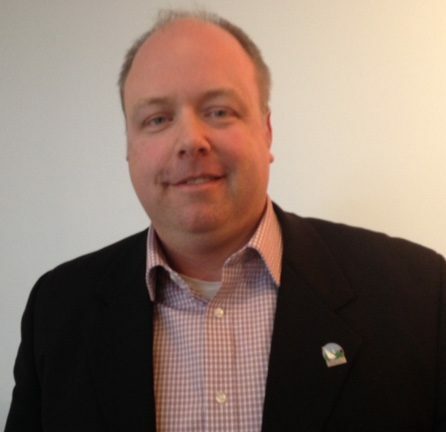 Other municipalities have taken steps similar to what Carr is proposing. 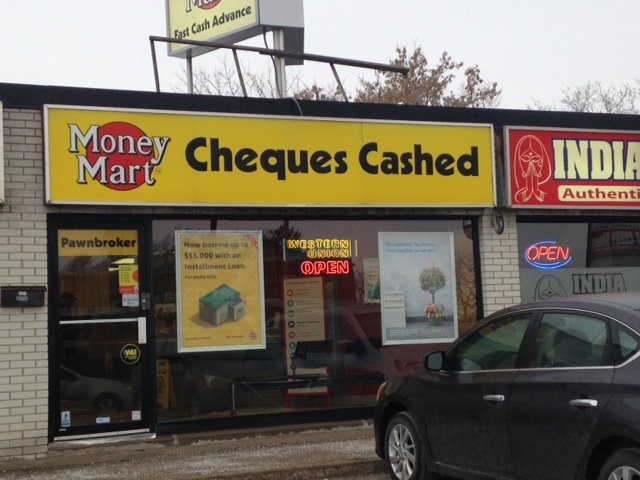 In Oshawa, for example, payday-loan businesses must be over 50 metres apart. 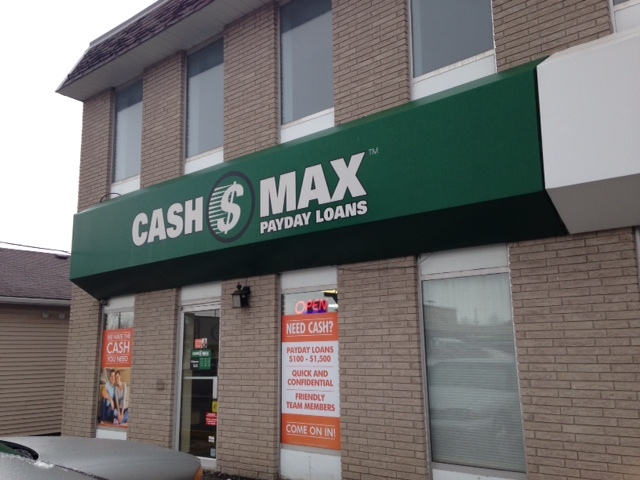 Carr said he wants Belleville to make the allowed distance between two payday-loan locations so big that no new operations will be able to move into the city. At Monday’s meeting, he first proposed that the minimum distance be set at five kilometres. But Coun. Jack Miller said that might not be legal, which prompted the committee’s request for a legal opinion. Miller supported Carr’s motion but said that even if council does approve a minimum separation of such operations, it will be unable to do anything about the ones that are already here. “They exist, and they are legal,” Miller said. He too said that he would to prevent new payday-loan businesses from moving into the city. But Samantha Dunkley, the manager of one of the outlets, Cash Max on North Front Street, said she doesn’t see things the same way as the councillors. 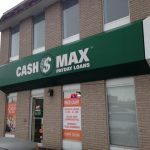 “My opinion is that the city can try (to limit the number of payday-loan outlets), but ultimately they would be turning down a potential business that would employ people,” she said. Carr’s suggestion that interest rates can go as high as 60 per cent is also wrong, Dunkley said. “The maximum allowable cost per $100 borrowed in Ontario is 18 per cent. So if you were to come into my store and borrowed $100, it would cost you $118 to return it,” she said. 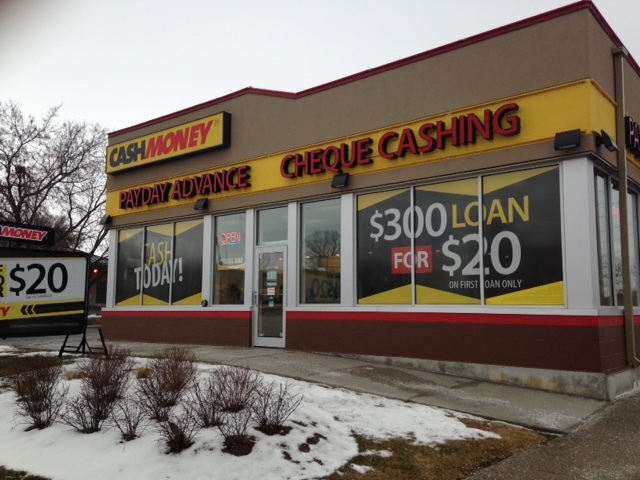 Managers at two other payday-loan outlets contacted by QNet News refused to comment. Council will consider the committee’s resolution at its next meeting.